Google Adsense being the best source of income for most publishers, especially for bloggers publishing required contents online, can now be linked to different bank accounts but just to Banks accepted by Google. Although this post is basically crafted for new piblishers who tends to find out more about Google Adsense payment and how to link it up with their different online Bank account. 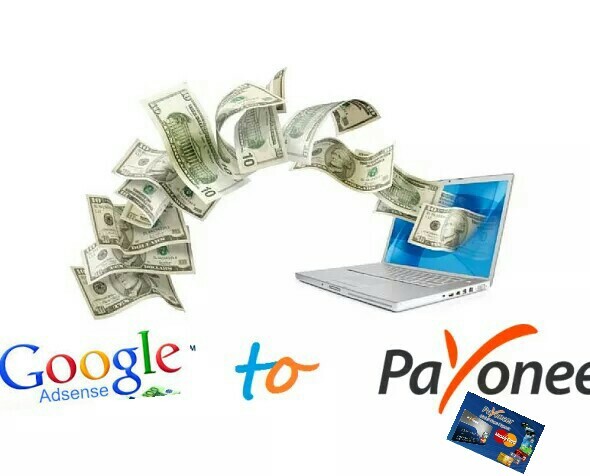 Even if you are an old user of Google Adsense, and don't know how to link your payoneer information in order to withdraw your money from Google. Then this post is meant for you, just read on to get your payment information activated in Adsense. 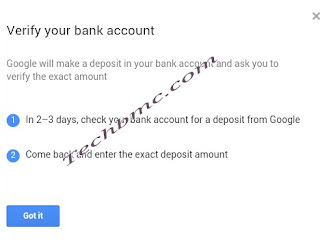 Publishers receive their earnings from this Google AdSense network as at when due, provided the earning or accumulation methods are followed without invalid activity. For the earnings to accumulate upto the minimum threshold ($100) or more than, in order for it to be paid out from AdSense, you should know that there are things involved in growing the money to the expected payout, and those agents that actually do the work are your website traffic (views) and Ad clicks. How To Skyrocket Your Alexa Ranking For Blog Or Website In Few Steps. AdSense pay out the earning of every publisher once it clocks to the minimum payout or more than according to your set up through Wire Transfer, Cheque, EFT Transfers and as well by Western Union.. This is done every month precisely 21st of every month. Are you meeting the word "Payoneer Account" for the first time then this brief description is for you, but for full details on how to register for the account and having the mastercard shifted to your country or location given to them by you, then you have to click on the following links under read more. √ How To Get Google AdSense Approved In Few Days Whichever Country You Are From. √ Guide On How To Use Your National Identity Card To Withdraw Money From ATM. Payoneer is a Global payment processor as you may know, it provides sole proprietors, companies and any business organization the big opportunity to pay out revenues or funds to their workers so easily worldwide. Now when anyone sign up in registration for payoneer, he/she gets a free US bank account collection details in order to receive any payment from any company in US dollars. What you should know before linking. AdSense only allow receiving funds to Payoneer if and only if, your AdSense account is a US account. So to have it, AdSense doesn't support Payoneer account if not a US AdSense account. This time, publishers are only allowed to link their AdSense account respective of the country bank account you applied from. But if you want to link your AdSense account with payoneer, that means you must have an active USA AdSense account. I hope its clear? How Can I Link My USA Adsense Account To Payoneer Account owned By Me? 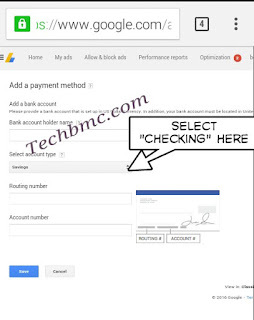 ==>Next, Log on to your US AdSense account >> Head to Payment Settings >> Select Banks and fill the form with the details copied from your Payoneer account. 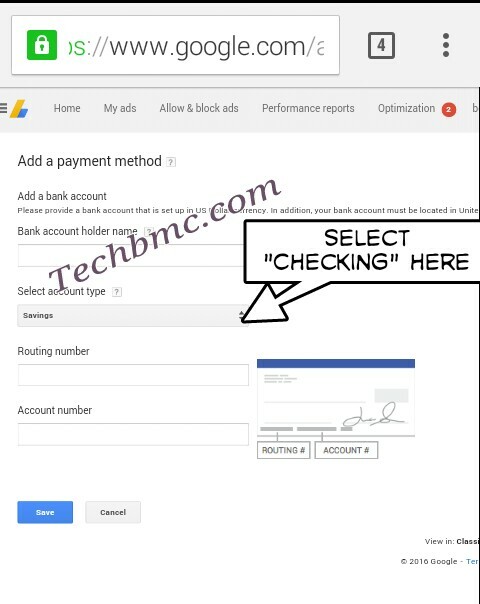 When you get to the section of "Account type' remember to choose "Checking"
==> Finally, Google will send you a small amount of money in dollars, always ($0.38) to your Payoneer account, this is for verification to ascertain if really you are the owner of the account. The deposit always enter your Payoneer account within 2-3 days interval. Keep checking your account for that and when you receive the deposit from Google, log back to your AdSense account and click on "Verify payment" then select the exact amount in the small form and click on verify. That's all friends. Coming soon, is How to Receive Adsense Payment through Paypal Account, stay tuned. If you are sincere that this post is interesting and worth sharing, don't neglect sharing to your friends on Facebook and Twitter because they need it as you do.